When I wrote my last post, I thought afterwards perhaps I might have a bit of a blogging break; Christmas was coming, so I decided it was a good time to wrap things up for the year and come back sparkling fresh in January. But then January came and it was dark and cold, and I found I wanted to spend more time on the sofa with my books and less on the internet. And then February came and we started renovating the bathroom, and then work got a LOT busier. And then there was the kitchen that needed doing, the study that had to be sorted, the end of term and then the summer holidays. I’d also been thinking (read: procrastinating) about moving my blog over to WordPress, so one day I just went for it; I used the Pipdig service which includes the migration of all posts and links, and a beautiful modern template – and I honestly couldn’t recommend it enough. 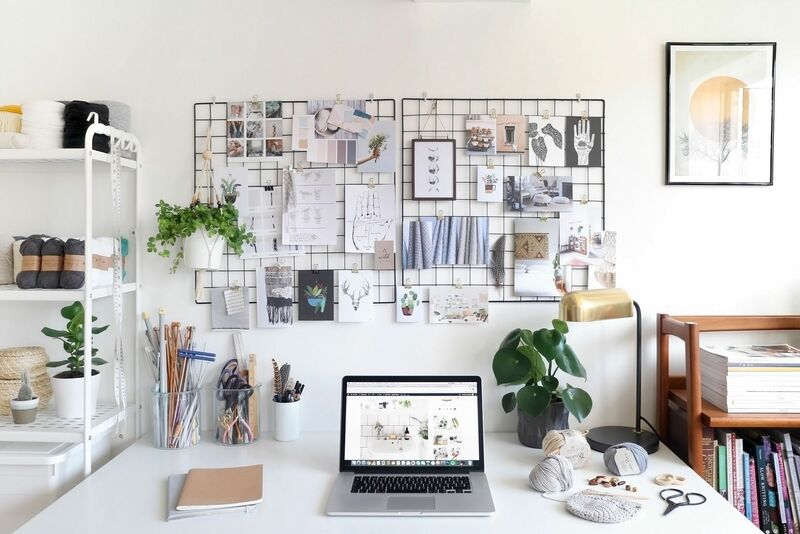 I’m a total technophobe, if I’m really honest; my coding skills are limited at best, and I find it really confusing – the thought of breaking my old blog and accidentally wiping everything I’ve ever done made me so anxious that I decided hiring someone to do it was worth the money. So here we are – the first post in ten months! 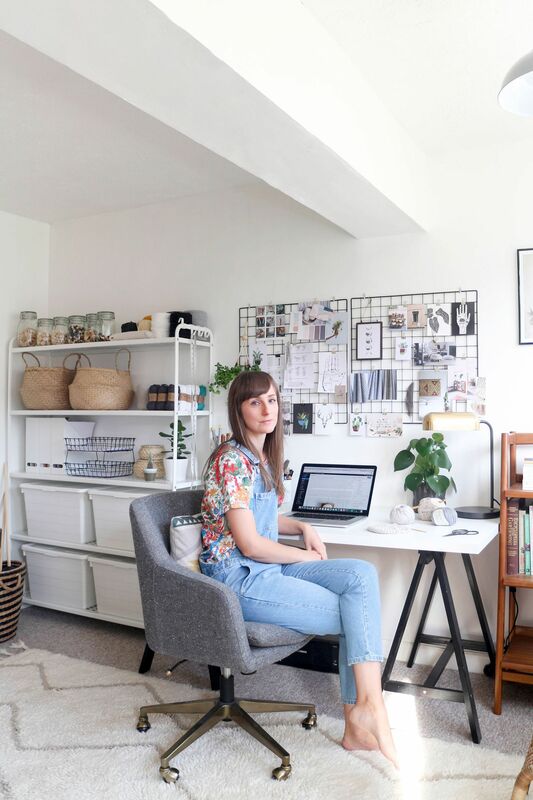 I thought the best way to introduce the new site would be with a proper introduction to our new home; if you follow me on Instagram you’ll have seen bits and pieces, but I’ve never shared whole rooms because we hadn’t actually finished any. 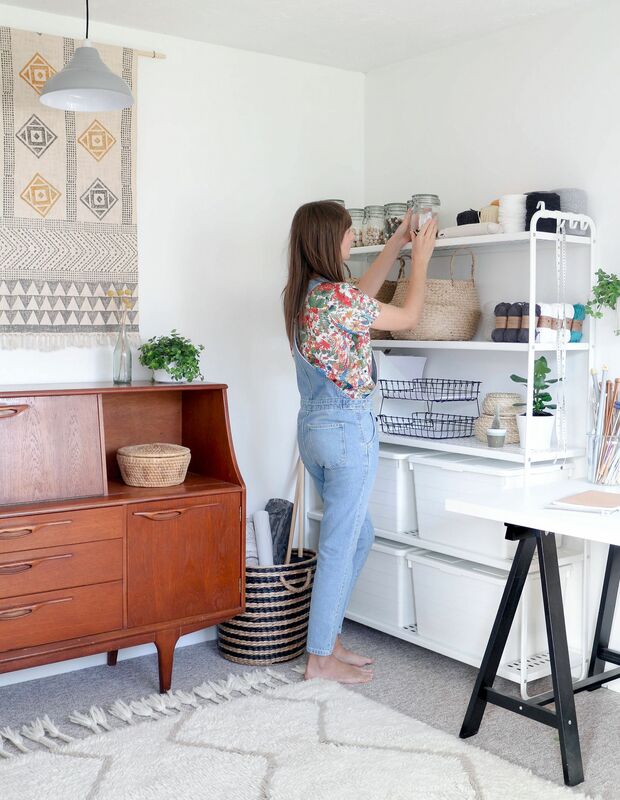 I’m really not great at decorating, as I tend to change my mind a lot because I’ve got a pretty bad Pinterest habit – but I’m determined that as we finish each room, they’re staying as they are! 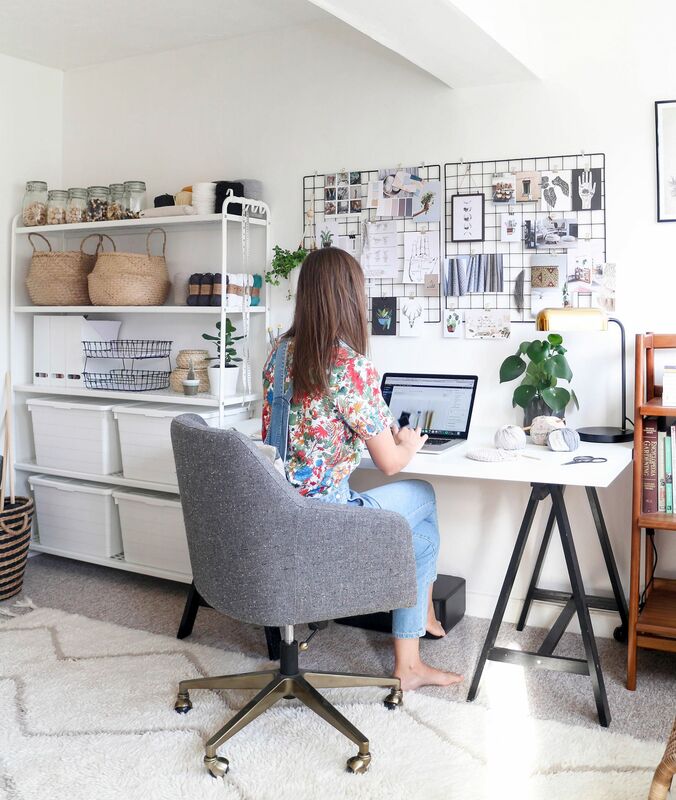 When I started doing the back room, I knew it was going to be a home office, or study, or whatever you want to call it (I always think home offices and studies are for people who are super professional, rather than people who wear joggers and giant slippers, and eat lots of biscuits…),but I didn’t really know what else I wanted to do with it. 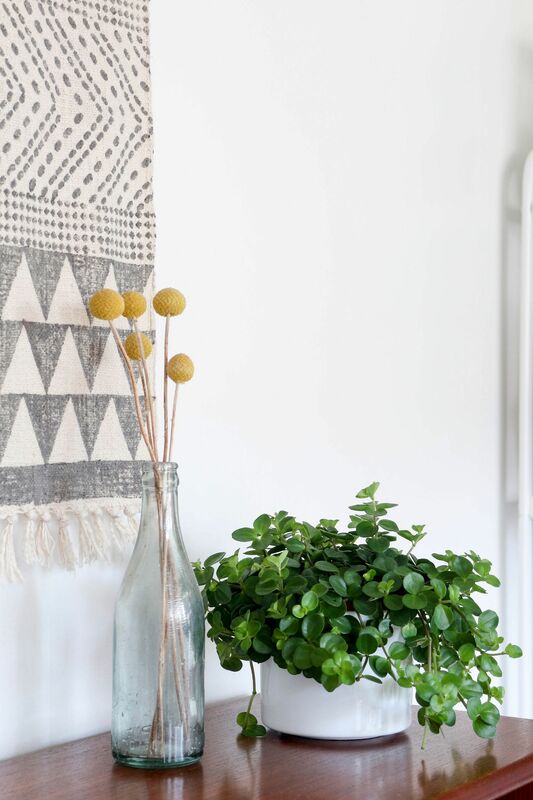 My interior style is kind of modern-boho-meets-scandi-crossed-with-a-bit-of-rustic, so I was thinking wall hangings, prints, baskets and LOADS of plants – I wanted it to be comfortable, bright and clean, and somewhere that I wouldn’t mind spending six hours a day. 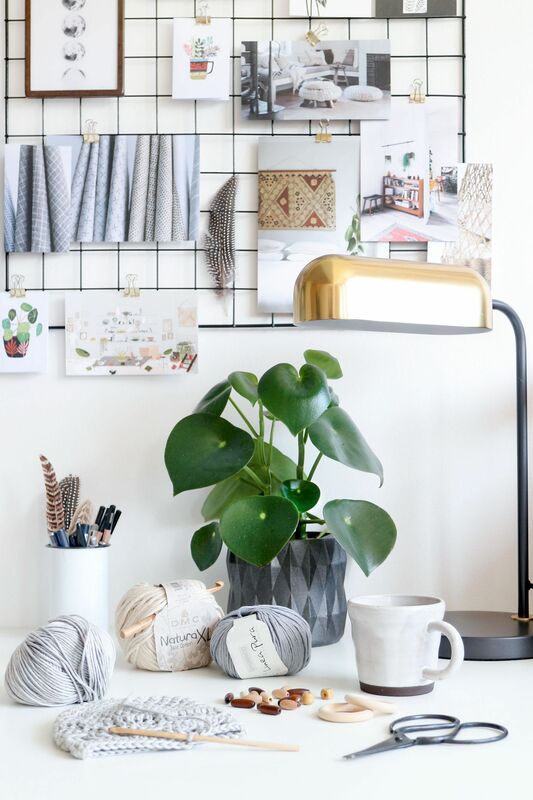 I was lucky enough to be able to collaborate with the lovely folks at West Elm to give the room a bit of a makeover, and also tried to use a good mix of independent designers, secondhand finds and ethically made products. I’d found the sideboard on Gumtree for £50 (£50!) a few months back, after looking for one for as long as I can remember – it almost didn’t fit in the car, but after a lot of sweating and straining, we managed to get the boot shut and drove home with our knees under our chins. It needed a good cleaning as it smelt a bit musty, but was in amazing condition and after a bit of a clear out, I managed to squeeze all of my craft supplies into the two cupboards. 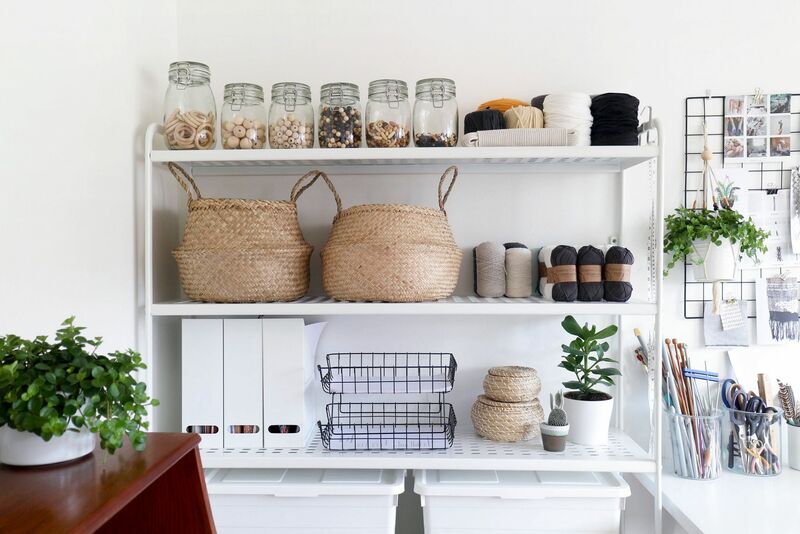 The drawers are actually deceptively big, and they’re great for storing paper, packaging and hard copies of crochet patterns. I had planned to have this huge text print from King and McGraw on the wall behind it, but it was mainly white and just looked a bit bare, so I started looking for wallhangings. 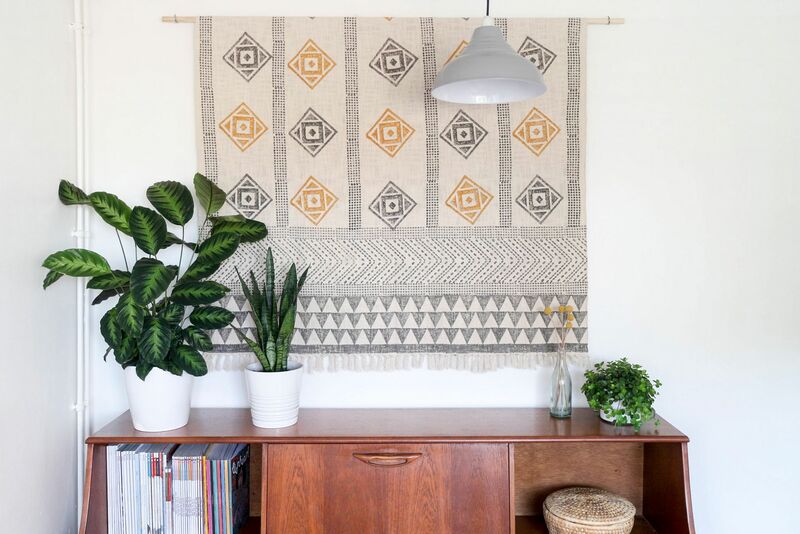 I’d recently discovered a company producing ethical bedlinens and accessories on Instagram called Woven Riches, and thought that one of the beautiful block printed scarves might look good on the wall – but then I had a look through the website and found a beautiful mustard and grey throw instead, which turned out to be the perfect size. The sideboard was big enough to hold all of my general craft supplies, but my yarn stash has got so out of control that I needed another way to store it; originally I’d thought about having it all on show, but it just ended up as a massive mess, so I bought these huge storage boxes from IKEA which are a bit Tardis-esque and more importantly, budget-friendly. I use a lot of wooden beads and was fed up with never being able to find the ones I wanted, so I bought six kilner jars to keep them separate, and also snapped up a couple of belly baskets to hold current projects – the handles make it super easy to just grab the whole thing and go when I’m working away from home. The large stripe basket on the floor used to hold the kiddos toys, but after having a clear-out it’s been hanging around sitting empty; I use a lot of wallpaper samples as backgrounds for photos, and it’s ideal to keep them neat and tidy while they’re rolled up. A lot of the things I make need to be hung up to be photographed, so it was important that I had some hooks with a plain white background – these ones are from IKEA a few years ago, and they don’t sell them anymore, but they do stock something similar. 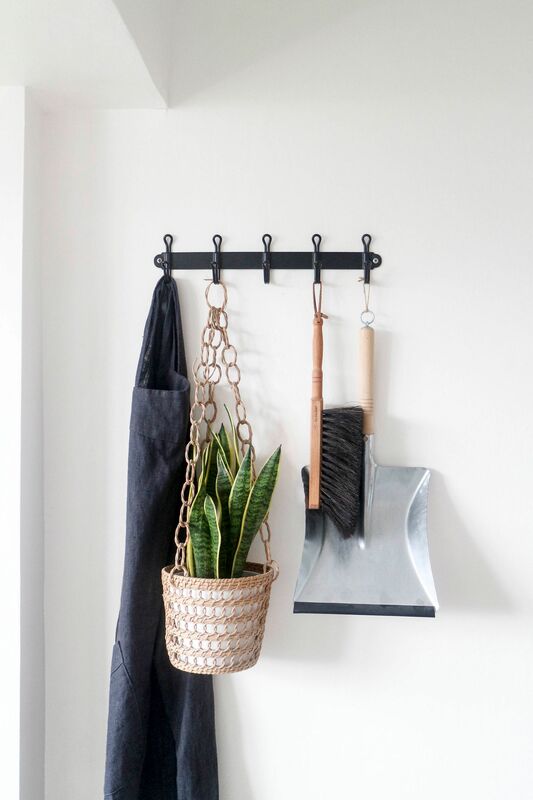 The apron was a birthday present from Ali, and the hanging planter was a really lucky find from a car boot sale – they had loads, and to this day I wish I’d bought them all! The dustpan and brush were another birthday present from my Mum (I just really like utility items, ok?! ), and came from the brilliant Utility in Brighton, which stocks some of the best enamelware and household items around. The desk was one of the most important places because it’s where I spend most of my time when I’m in here, so it needed to be spacious enough to craft at, but also somewhere I could sit comfortably to write as well; the table top and legs are from IKEA (because, where else?!) and the beautiful chair is from West Elm. It’s the Helvetica Office Chair, upholstered in salt and pepper tweed, and it is SO comfortable – you can adjust both the height and the tilt angle, so you can really get that perfect position for working in. I often come in to find the cat nestled right into the back, fast asleep – which is proof indeed of how comfortable it is, because Minnie is one fussy feline! The cushion (which you can see more of in the very first picture in the post), is an old kilim cushion that I found on eBay a couple of years ago. 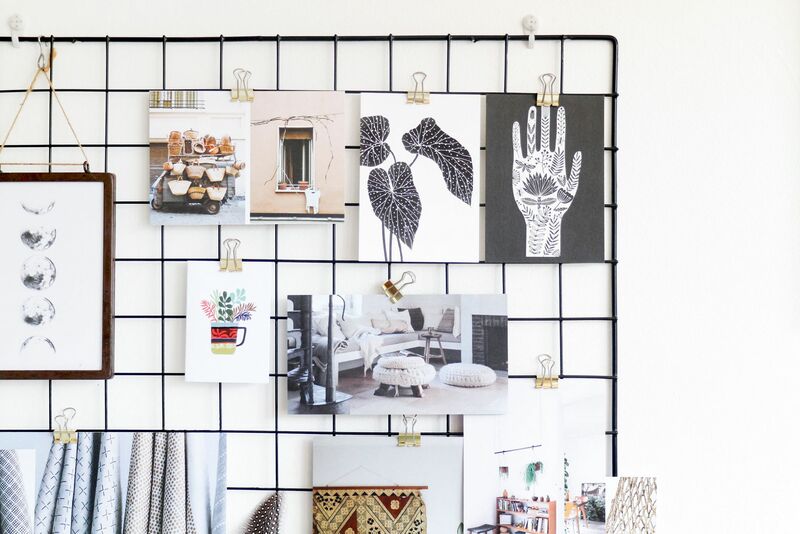 I thought about having prints on the wall above the desk, which would have probably looked tidier, but I went for the wire grids instead; they’re really useful to clip inspirational magazine tears and postcards on, and unlike solid pinboards, they’re easy to attach crochet samples and hanging planters to. 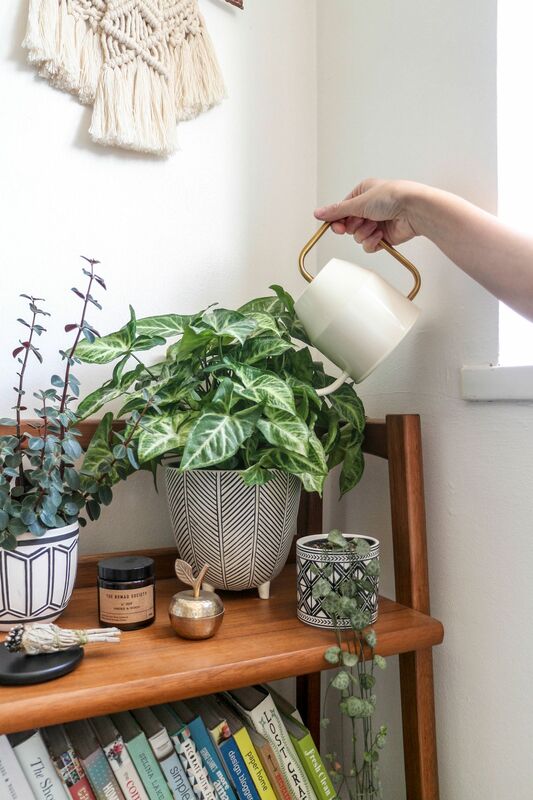 The planter in the picture was my first try at macrame using DMC Natura XL, which is a super chunky cotton yarn – I’ve always been put off by the complex knots in macrame, but I think I’m a convert! The table lamp, also from West Elm, is one of my favourite things in the whole room; it makes me think of the old Victorian bankers lamps and conjures up images of dusty books, misty streets and the smell of tobacco and wood. What’s really good is that the shade swivels, so if I’m crocheting in the evening, I can angle it to see what I’m doing properly. I had the big shelving unit from IKEA to store all my yarn and crochet tools, but needed somewhere to store all my craft and interior books and magazines; the Mid-Century bookshelf from West Elm was ideal – three shelves of solid, sustainably sourced, FSC certified eucalyptus and acacia wood, that were spacious enough to hold everything with enough room left over for a few plants and ornaments. The candles in our home change depending on the seasons, and in the colder months I always either like something spicy and cinnamon scented, or something smokey – we don’t have a log burner or open fire, so a wood-burning candle is the next best thing. 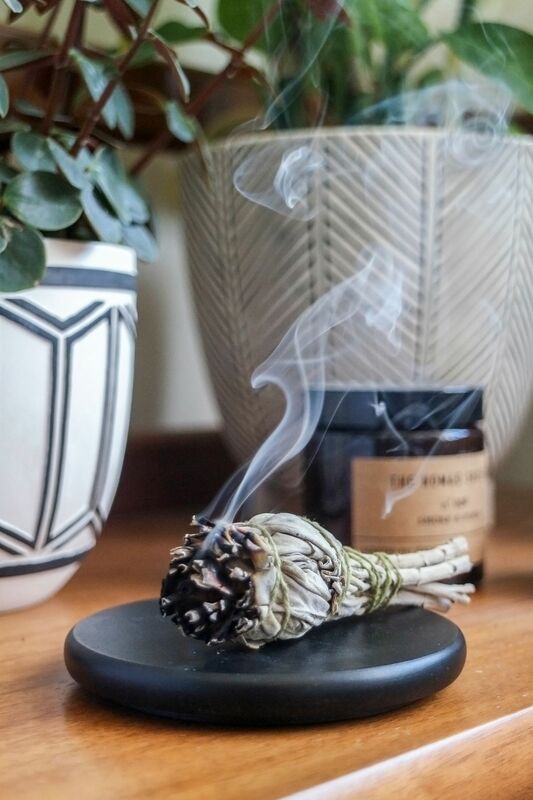 Bonus points if it has a wooden wick, so you can have that beautiful crackling sound as well! I bought the little trinket pot ages ago, and it did have a little pineapple friend – but that has somehow worked it’s way into Daisy’s room and never left; I don’t keep anything in it (to be honest, it’s so small, I don’t even know what I’d put in there), but I just like the way it looks. 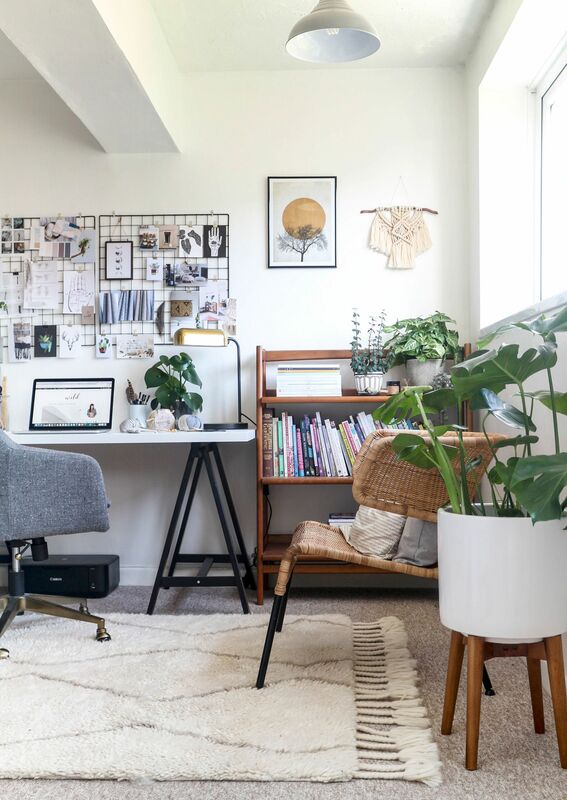 I wasn’t sure what to do with the space above the bookshelf, and had thought about making a large wallhanging, but then fell completely and utterly in love with the work of Fallon Knowles, who runs Mayflower Designs on Etsy. 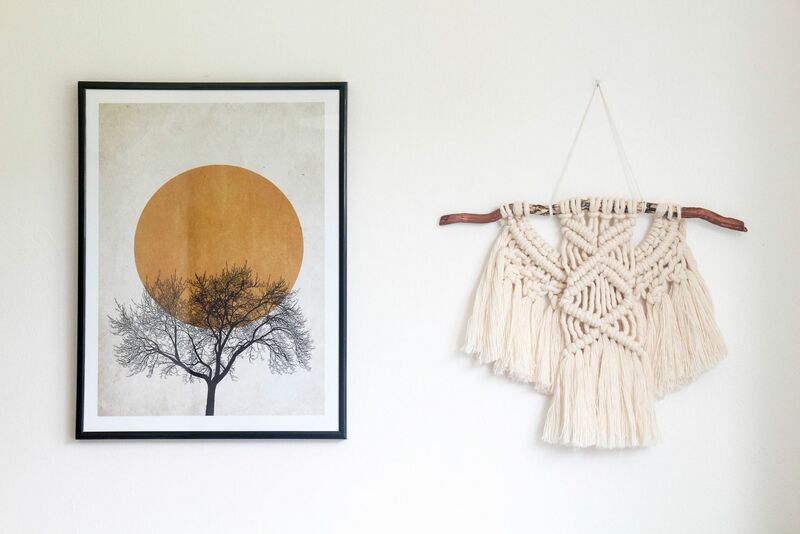 She produces macrame planters and wallhangings, but they’re so totally different and unique with the double layering effect that I snapped one up straight away. I found the Winter Morning print on Desenio, and I find it really calming; it reminds me of those quiet days of late Autumn, when the sun is really low and everything is beautifully crisp and golden. Although I already had a really (really!) comfortable office chair, I wanted somewhere else to sit when I was crocheting but finding the perfect chair that was in budget was pretty tough. 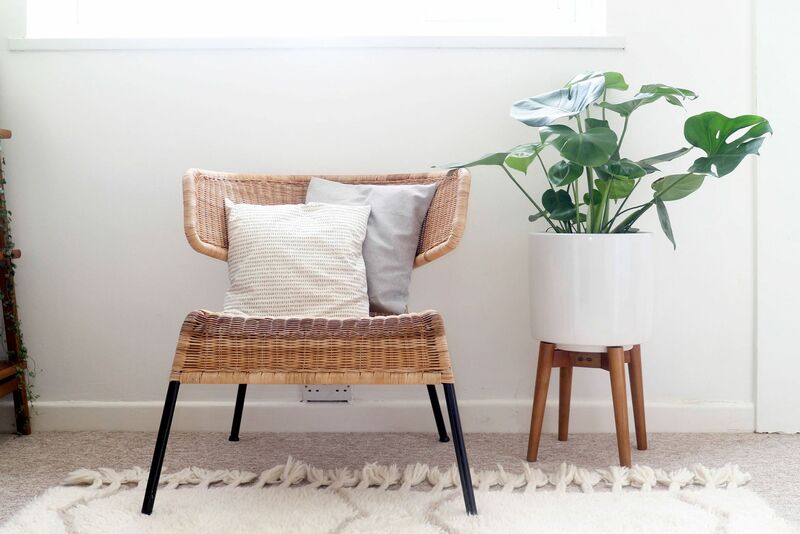 I wanted something wicker or bamboo to fit in with the natural, rustic feel of the room, and eventually found the most amazing pair of chairs on Gumtree for £10 (the second one is in the lounge!). The legs were originally silver, so I made a little makeshift booth in the garden and sprayed them black using Plastikote super gloss spray paint, and then added a top coat of spray varnish to prevent chips. 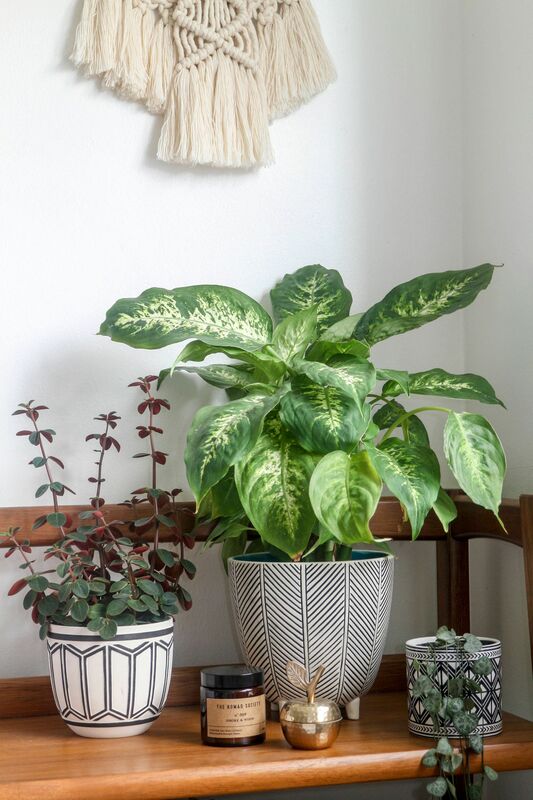 The beautiful wooden planter from West Elm was the ideal place to put my bargain Monstera plant that I found in IKEA. Finally, I needed something to put on the floor; partly because we have that awful Landlord Brown carpet that seems to appear in every single rental house, and partly because the room has a large window and the back door that leads off of it, so it tends to get really chilly in there (especially in the winter). The Souk Wool Rug from West Elm is, without a doubt, the nicest rug I have ever laid hands (or feet… knees….legs….) 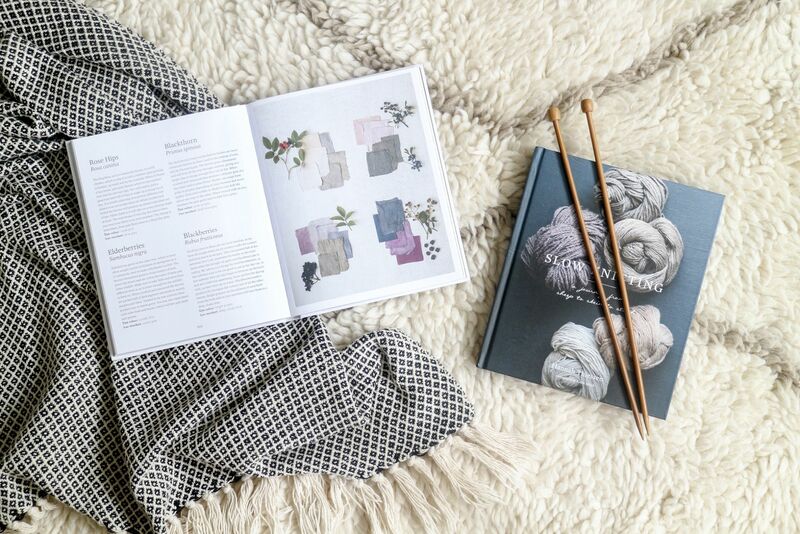 on; it’s made from 100% high pile wool, and is beautifully thick and warm – and most importantly, it’s Fair Trade certified so it’s been completely ethically produced.